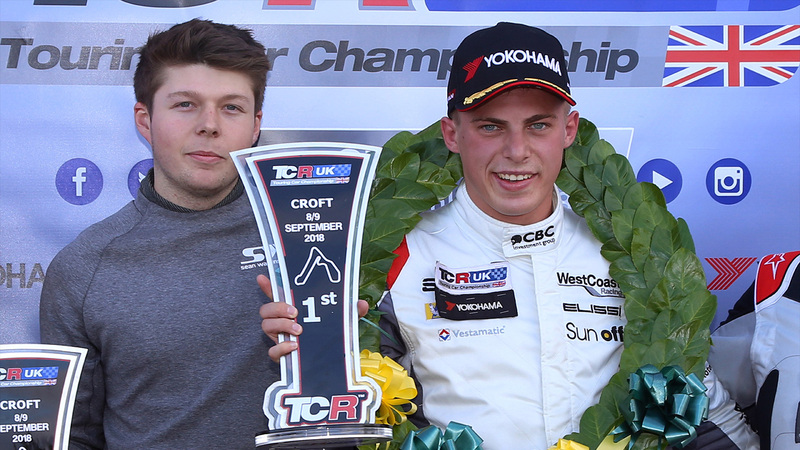 Pictured Fantastic double podium at Croft with P3 finish in Rd12. 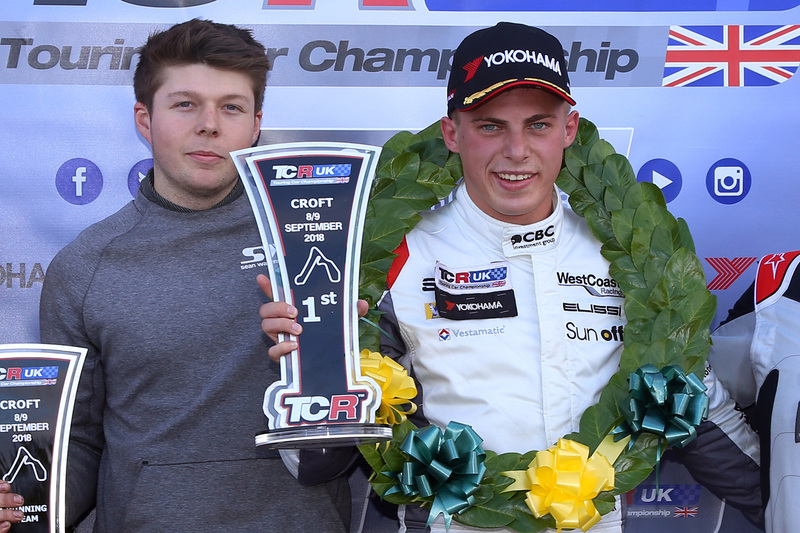 Fantastic double podium at Croft with P3 finish in Rd12. 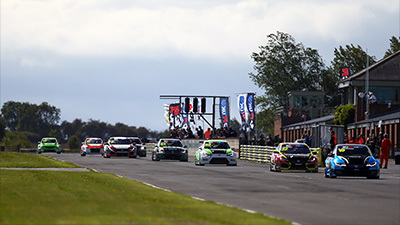 Sean Walkinshaw Racing’s potent Honda Civic made a sensational return to action in the TCR UK Championship at Croft in North Yorkshire over the weekend, 8th/9th September, with Swedish racer Andreas Backman taking his, and the car’s, maiden victory in round 11 of the season. After missing the previous two events with regular driver Howard Fuller experiencing unfortunate budget difficulties, Oxfordshire-based SWR made a welcome reappearance in the championship but with a difference – a partnership with WestCoast Racing to run 22-year-old Backman. With the Swedish team committed to the clashing TCR Scandinavia races as well as TCR UK this weekend, Backman’s usual Volkswagen Golf was unavailable and so a deal between the teams was reached for Backman to run in the SWR Honda, albeit under the ‘WestCoast Racing’ banner. After storming to his maiden pole position in a wet-but-drying qualifying session on Saturday, the first for the SWR Honda Civic, Backman went on to deliver a textbook lights-to-flag victory in race one on Sunday and then made it a double podium with third place in the second contest. 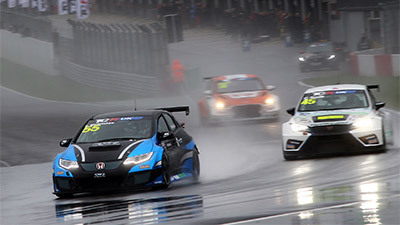 “We’re obviously delighted to have the SWR Honda Civic back in action in TCR UK after a couple of rounds away, and I want to thank WestCoast Racing and the Backman family too – it’s been great working with them, especially so successfully”, said SWR team manager Ken Page. Progressing well in the two warm-up sessions and the subsequent practice session with the Oxfordshire squad, Backman starred in the wet qualifying period on Saturday to grab his maiden pole position – and the first for SWR’s Honda – by almost 0.6 seconds. Impressing on his first appearance in the car, Backman made the most of the changeable conditions in the grid-determining session to deliver a best time of 1m30.074 seconds (84.93mph) right at the end of the run, where a drying line was becoming increasingly clear. Sunday’s weather was much improved and at the start of race one Backman made an excellent launch to lead through Clervaux, building an advantage of 0.6 seconds over Ollie Taylor by the end of lap one. Almost doubling his lead into lap three after setting the fastest lap of 1m26.989 seconds, Backman pulled two seconds clear into the fifth tour and continued to move further and further away with every lap with a faultless performance in the SWR Honda. Running 3.5 seconds to the good at mid-distance, the Swede controlled the action superbly and was seven seconds clear into the 14th and final lap before wrapping-up his first ever circuit racing win and, by extension, the first victory for the SWR car by 7.8 seconds. Backman started race two on Sunday afternoon third on the grid and when the lights went out he again made another good getaway, circulating close behind Finlay Crocker and ending the opening lap just 0.2 seconds adrift. Running comfortably within half a second of Crocker over the next few laps, into the sixth tour Backman was as close as he’d been but there was no way through at Clervaux. Into the second half of the race a little more daylight did appear between the pair, but Backman responded and on lap 10 they were nose-to-tail once more. 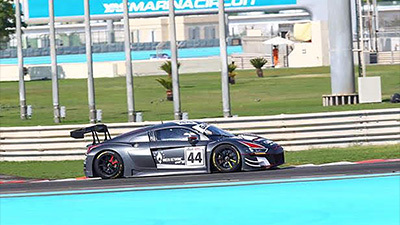 Applying significant pressure lap after lap but with no breakthrough possible, in the end Backman had to settle for a nonetheless strong and competitive third place finish at the end of 14 laps, just four tenths of a second shy of the runner-up spot. 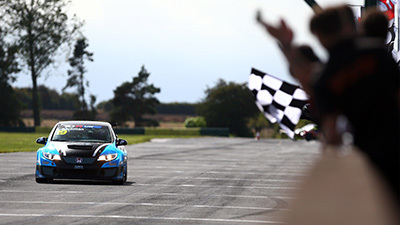 Donington Park in Leicestershire will host the final two races of the inaugural TCR UK Championship season over the weekend 13th/14th October.